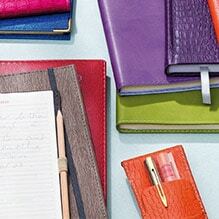 Clairefontaine enjoys an exceptional recognised reputation, this is not without reason: Clairefontaine is a paper producer and converter that controls its production at every stage of manufacture, which warrants the constant quality of its products. The machines are equipped with sensors that constantly check the quality of the products according to a multitude of parameters. All the papers used by the group are manufactured at Clairefontaine’s four production sites. The most important site is of course Etival-Clairefontaine, located 90km from Strasbourg, along the Meurthe river. Everbal mill is dedicated to recycled paper. 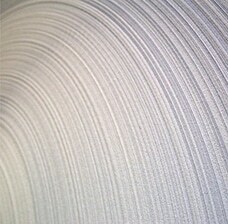 Mandeure mill specialises in heavy-weight and speciality papers. Schut site (in the Netherlands) produces top-end speciality papers. Clairefontaine is located at the crossroads between France, Germany, Switzerland and Benelux. Etival’s production site extends over 40 hectares of which 15 hectares are developed. The proximity to neighbouring countries favours transport savings, and allows deliveries to be made in record time: 80% of orders are delivered within D+1 in France, Germany, Switzerland and Benelux, and on average within D+2 in Europe. The mill is equipped with 2 paper machines 3.40m wide. 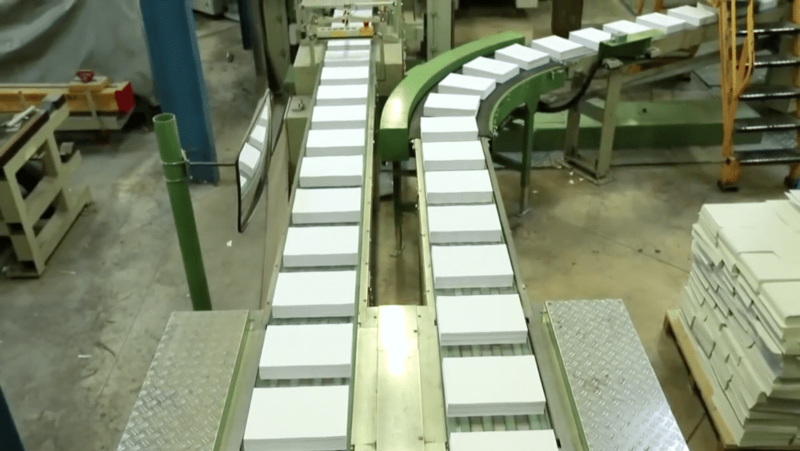 For one machine the production speed reaches 1000m per minute, which represents 60km and 15 tons of paper per hour. Thanks to these constantly modernized machines, Clairefontaine delivers 170,000 tons per year of uncoated printing and writing paper to its customers. The paper is exclusively top of the range, for office automation, graphic printing and the manufacture of stationery articles. Logistics is undeniably one of the strong points of the Papeteries de Clairefontaine. The value of a paper manufacturer today cannot be measured solely by its technical know-how, the Etival mill has benefited for many years from major logistical investments enabling it to offer its customers ever wider ranges coupled with an increasingly efficient service. From the installation of automatic machines in charge of incoming and outgoing finished products to the construction of fully automated warehouses for the storage of reams, formats and reels, the entire flow has been redesigned to meet customers’ growing requirements in terms of quality, reliability and speed of delivery. The Mandeure mill is located in the East of France, 60km from Mulhouse. The site specialises in the manufacture of 100% cellulose cards, dedicated to uses such as filing, ticketing, communication, luxury packaging, food packaging and multiple bespoke requirements. 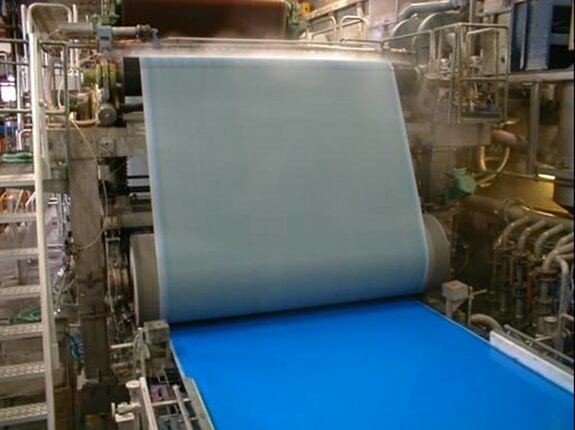 Its 40,000 tons of paper are produced annually in a single-jet, in weights from 100 to 600g/m2, in rolls and sheets. They are FSC and PEFC certified, and are 100% recyclable. Mandeure paper mill has set up a system for collecting and recirculating cooling water, enabling it to reduce its water withdrawals by nearly 13%. The plant recently replaced an air dryer to remove a refrigerant gas whose use will soon be banned. Everbal mill, 20km from Reims, is a Clairefontaine subsidiary since 1994 dedicated exclusively to the manufacture of 100% recycled paper. 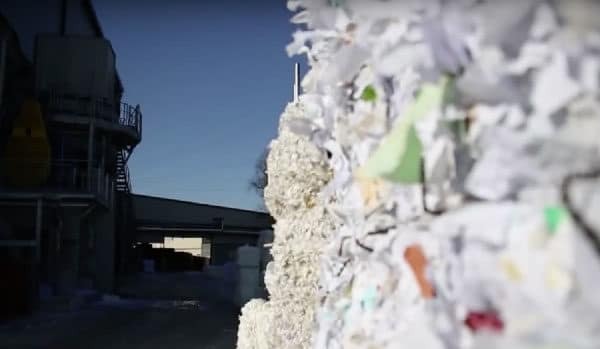 Thanks to a highly controlled selection of recovered paper, Everbal produces 40,000 tons per year with a record yield: only 6% of the material will be eliminated during the recycling process. The site is ISO 9001 and 14001 certified, and offers Blue Angel, Ecolabel, PEFC or recycled FSC certified products. The pulp preparation process does not use any element based on chlorinated compounds. Everbal produces the Evercopy range of white recycled paper as well as Evercolor paper for office use. 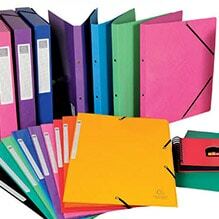 These papers comply with the DIN 6738 standard which qualifies their permanence for archiving. Schut site in the Netherlands is dedicated to the manufacture of special papers. Its complete range of products intended for Fine Arts and security, is made up of textured papers, with very specific absorption specificationss according to the required application. These 5,000 tons of annual paper are FSC and PEFC certified. Papeteries Clairefontaine is located in the heart of Europe. A symbol of quality, Clairefontaine has inherited a unique know-how in the manufacture and the conversion of paper. Clairefontaine is constantly in search of perfection; the rigour and efficiency of the processes put in place guarantee an irreproachable quality to its papers, justifying its repuation. Over the years, Clairefontaine has earned the confidence of consumers, thanks to its ability to adapt to new technologies and to changing customer demand. The Exacompta-Clairefontaine group comprises some fifty companies and employs over 3,200 people, including 580 at Papeteries Clairefontaine. Clairefontaine has always been committed to respecting the environment. This is an integral part of its production policy. From the raw materials used for production to the final treatments, no step is overlooked with regard to environmental protection. Clairefontaine’s paper mills are certified according to the international standard ISO 14001, which guarantees the consideration and control of all elements related to environmental protection. 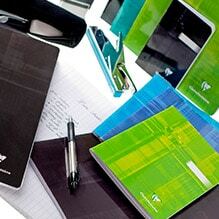 Clairefontaine has a subsidiary, Everbal, specialising in the production of 100% recycled paper. Clairefontaine has its own biological treatment plant, allowing it to eliminate almost all the materials present in the water, and to discharge this clean water into the Meurthe. Effluent represents less than 1% of the site’s production. It is then sent to a composting plant, where this “biological sludge” is transformed into stabilized compost. This is distributed in the region’s fields and contributes to soil reclamation. Clairefontaine has equipped its thermal power station with a cogeneration unit and two gas turbines with a recovery boiler, enabling the plant to be more than 80% autonomous in electricity. The carbon dioxide emitted is recovered in the production line to produce the mineral filler that gives the paper its whiteness and resistance. 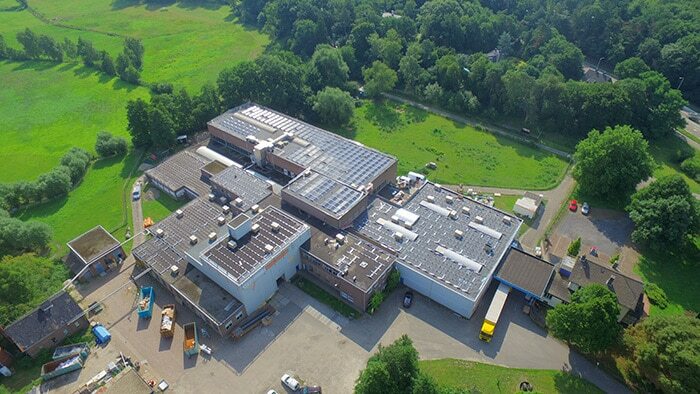 In Everbal, the recycled paper production site, the paper mill invested in the installation of biomass boilers, considerably reducing CO2 emissions. The pulp used to make Clairefontaine paper comes exclusively from certified forests. Among the main environmental forest certification schemes are the PEFC (Pan European Forest Certification) and the FSC (Forest Stewardship Council). Sustainable forest management is a fundamental concept for Clairefontaine, whose group owns and maintains several fir and spruce forests in the Vosges. L’ISO 50001 est la norme internationale qui définit les exigences de mise en oeuvre des systèmes de management de l’énergie. L’ISO 50001 offre aux organismes des stratégies de management leur permettant d’améliorer la performance énergétique et ainsi de réduire leurs coûts. La norme ISO 1400 concerne le management environnemental, c’est à-dire l’organisation que l’entreprise a mise en place pour maîtriser les impacts environnementaux liés à ses activités. Elle repose sur le principe d’amélioration continue de la performance environnementale. La certification ISO 14001 est délivrée sur la base d’audits réguliers réalisés par un organisme tiers indépendant. Elle est reconnue internationalement. FSC « Forest Stewardship Council » est une organisation indépendante destinée à promouvoir une gestion responsable des forêts à travers le monde. FSC est une référence mondialement reconnue. Rechercher les produits FSC. recyclés.Ils sont donc appropriés pour l’archivage sur le long terme (plus de 100 ans) de pièces justificatives et documents.